(L-R): Shawn ‘Jay-Z’ Carter speaks onstage during the launch of The Reform Alliance on January 23, 2019 in New York City. ; House Financial Services Committee Chairwoman Maxine Water (D-CA) questions Wells Fargo and Company CEO Timothy Sloan as he testifies before the committee on Capitol Hill March 12, 2019 in Washington, DC. 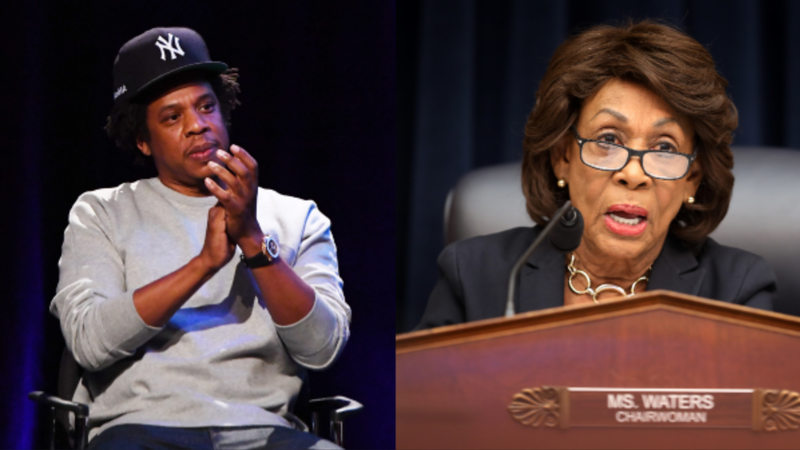 From hip-hop to the House of Representatives, the NAACP is recognizing two leaders in both music and politics with two of its most prestigious honors. Shawn “Jay-Z” Carter will be honored with the organization’s President’s Award, which is “presented in recognition of a special achievement and distinguished public service.” Jay recently made history as the first hip-hop artist to be inducted into the Songwriters Hall of Fame and his album The Blueprint was recently inducted into the Library of Congress’ National Recording Registry. Along with launching The Reform Alliance with Meek Mill, Jay-Z has made notable contributions to the community, including lending his legal team to 21 Savage to assist in his ICE arrest issues and lending the services of Roc Nation’s philanthropic division to dismiss the case of 11-year-old Jabari Talbot, who refused to stand for the Pledge of Allegiance in school. A big triumphant *Otis Yell* goes to Jay-Z and Roc Nation. Rep. Maxine Waters (D-Calif.) will be honored with the Chairman’s Award, awarded to those “who demonstrate exemplary public service and use their distinct platforms to create agents of change.” Rep. Water recently made history as the first woman and first African-American to hold the Chair’s gavel of the House Financial Services Committee. And what a difference she has made. In addition to her very tangible services, her firm presence has made an impact on myself and many other black women and girls who look up to her as a beacon of strength. The 50th NAACP Image Awards will take place Saturday, March 30 2019, airing live on TV One at 9pm ET / 6pm PT.